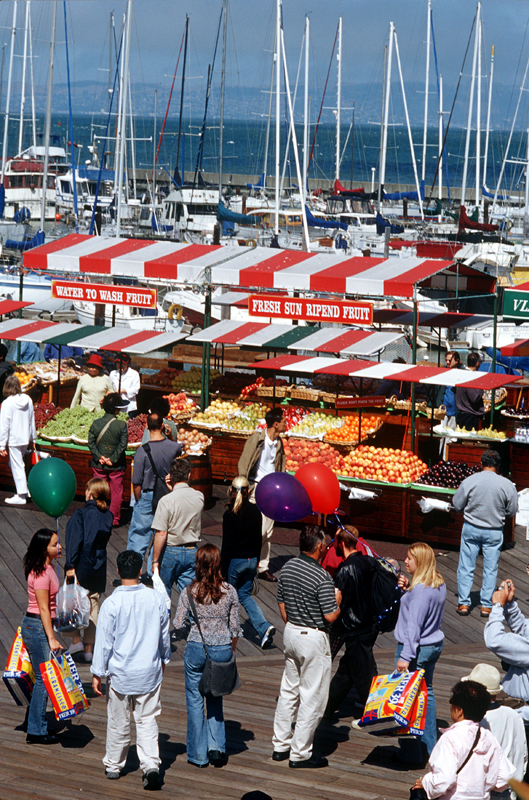 A festival marketplace on the bay. 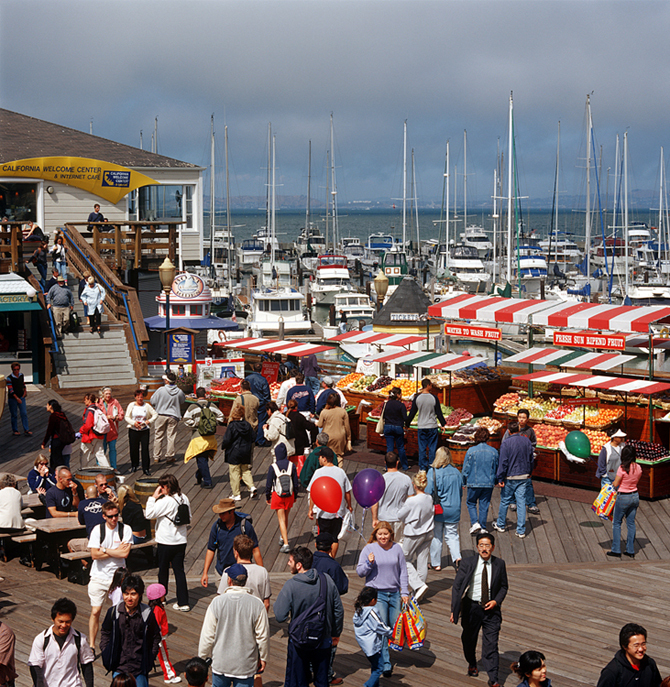 Pier 39 is one of San Francisco's main attractions. It's not very big, but it's not small. There are plenty of restaurants with wonderful views. The activities and fun never ends. From the outside it looks like there's nothing special about it, but you'll change your mind once you enter. The Pier is very well used by the San Franciscans and citizens of the Bay Area. 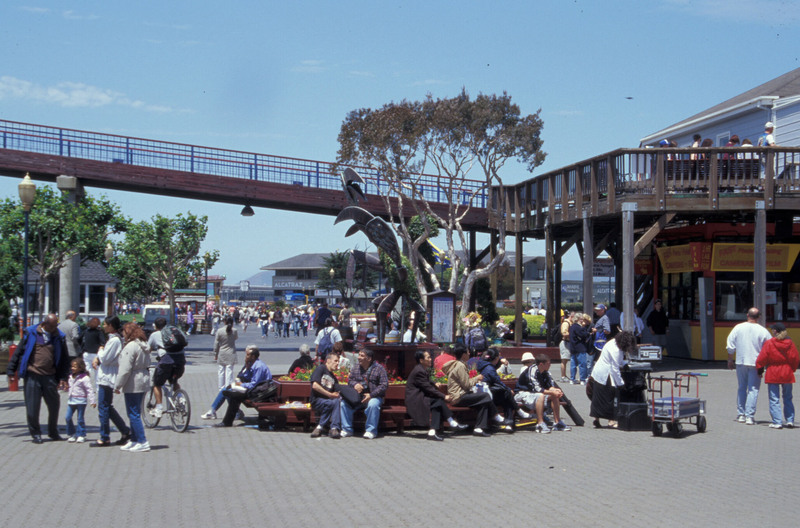 The sidewalks surrounding the pier are very wide, and San Francisco's historic trolley (line F) stops right in front. 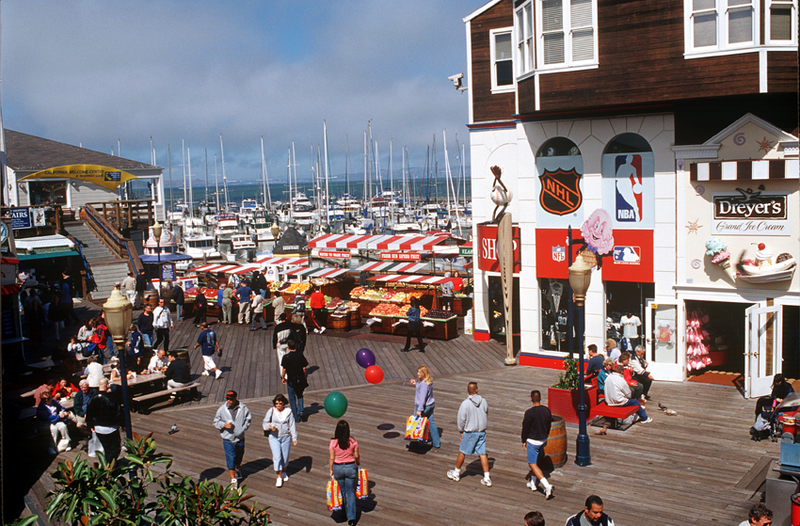 When you stand in front of Pier 39, it will be really hard to resist not going in. It's on the water so you wonÍt be seeing any cars until you get to The Embarcadero. Seating and the bathrooms are sometimes a problem during the busy weekends. Security is not noticeable. The pier is very busy every time it's open. It's filled with couples, families, and friends. It has over 110 stores and 11 full service restaurants. You can go all the way to the end of the pier and see the San Francisco Bay, Alcatraz Island, The Golden Gate Bridge, and the Bay Bridge. 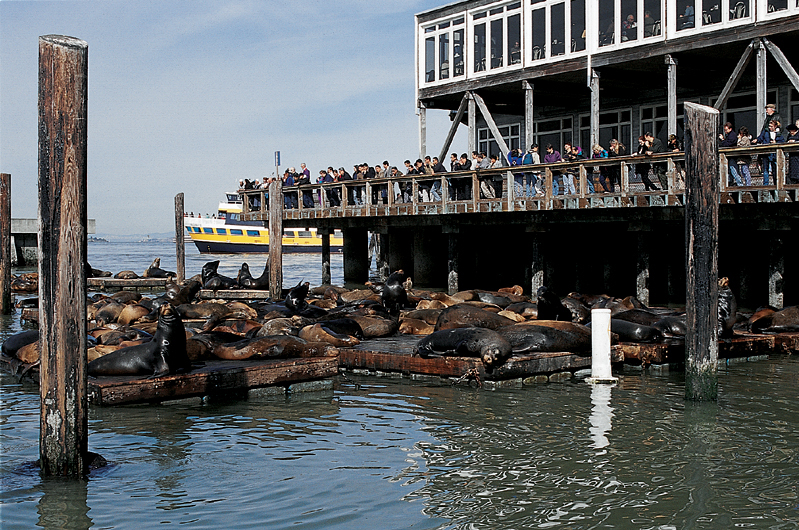 Children and adults can watch the sea lions on the left side of the pier and watch street performers at the Center Stage. Kids can ride the San Francisco Carousel while teenagers can enjoy the arcade and Turbo Ride. You can learn more about the bay in the Aquarium of the Bay. This is a very common meeting place for locals and tourist. Everyone is usually outgoing and friendly.